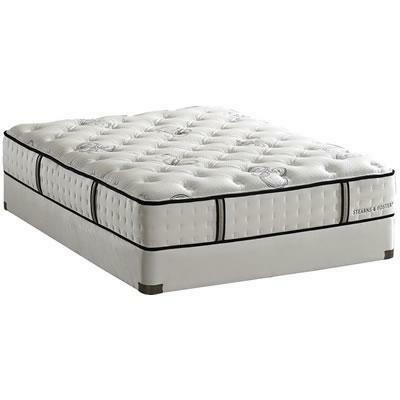 The Italian Garden Villa mattress features Stearns & Foster Luxury Latex. Uncompromising quality and luxury-inside and out. Continuous Smart Latex core and the featured Interlock Support System in select models combine to provide uniform support and durability from edge to edge, preventing compression and providing proper body alignment. Cashmere-knit cover with intricate embroidery provides a luxurious feel. Covering High Loft Fiber; 1" HyperSoft®; 1½" x ½" Convoluted HyperSoft®.